Choose now! 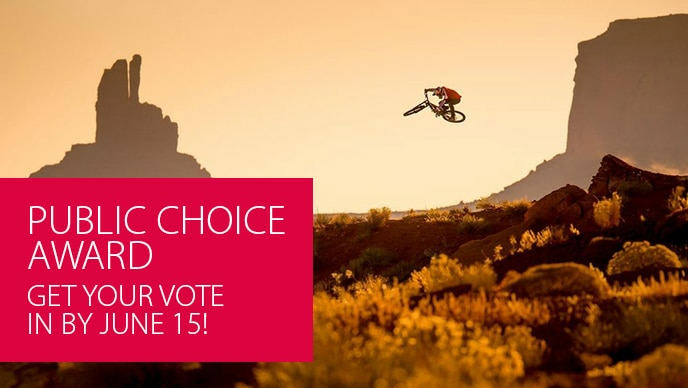 The public vote closes June 15th! The winning images have gone global on the Red Bull Illume Exhibit Tour, but only you can decide the Public Choice Award! The National Mobile Contest gave aspiring photographers a chance to submit their best adventure and action sports photographs with only one twist; it must be shot on a smartphone. Here’s who took the top 5 spots in the mobile only photo contest! The world's greatest adventure and action sports photography went on show at a stunning, outdoor exhibition venue in the Japanese capital. Red Bull Illume finalist photographer Max Lowe’s shot of skier Laura Hale on the hunt for pow around Hokkaido was a nominee in the ‘Spirit’ category – but it’s not the only incredible shot from his trip to Japan. We asked him to share a little bit more about himself – and his trip.